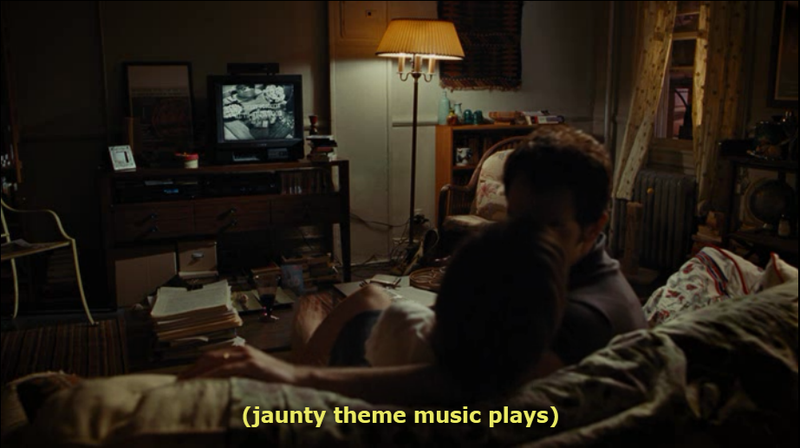 Below are some stills that I pulled from today's viewing of Julie & Julia. I have rearranged them, along with their subtitles, for your viewing pleasure. 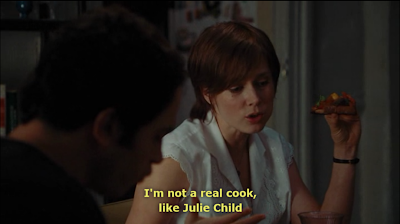 Julie & Julia Quote of the Day: "Avis loves my sauce chapter." Going off everything I've read in this blog without having watched the movie, I'd say you've managed to sum up the entire character of Julie Powell right here. Did you ever notice that the subtitles are wrong? not your best post. pretty boring actually.